One thing that comes to the mind when thinks about Facebook marketing is likes. Since day one, the thoughts we have is to get more likes. Even if we start looking at other parameters, the idea is to get more likes or reach the right target audience who can like the kind of content I am sharing. 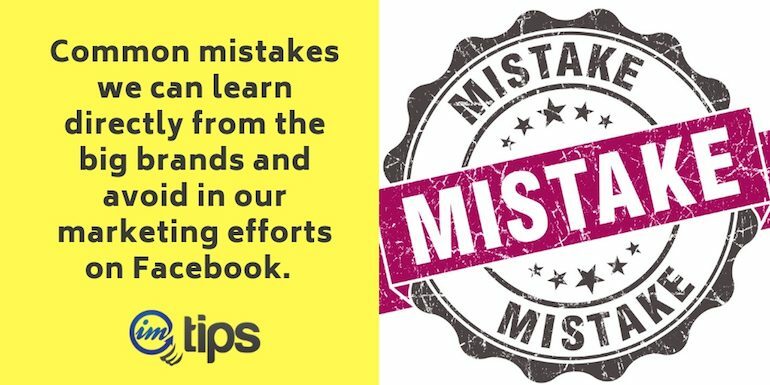 Have you ever wondered why your Facebook post fails to reach a wide group of people? I know what you may be thinking. Facebook organic reach is reducing. There is no denying fact about it but there is a lot more to it. Even if you somehow, some of your posts manage to generate better reach, still they don’t generate the kind of engagement one needs. The problem is the right approach to marketing on Facebook. Facebook marketers don’t focus on the quality of the content, instead, they want to deliver quantity. If you go on hitting your fan or followers with unrelated marketing content they will gradually lose interest and abandon your page forever. If I were to start on Facebook then I would go with providing value to my fans and followers. Adding value to your content is essential. Again the definition of value is different on Facebook from that on the blog. For a blog, timeless content is more important but for social media and especially Facebook, the content resonates more with the audience and touches their emotion is valuable. Content can be funny, sarcasm or any other type of content connects with the audience. 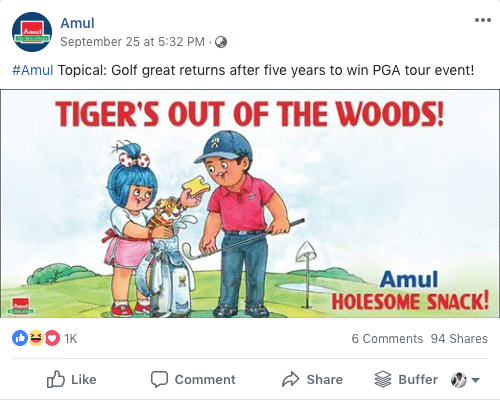 As an example, we can see the page of Amul where the content isn’t all about promoting the products. They offer a lot of content that is fun or sarcasm and connect with their audience. The most important aspect of content on social media should be to connect with the audience. One should post valuable content on a page on a consistent basis and it can be a hard nut to crack. According to CoSchedule, posting once in a day on social media pages can bring in some engagement, shares, and traffic. But posting valuable content on daily basis would get you even bigger results. Ideally, 2 to 3 post a day works fine alternating the type of post. 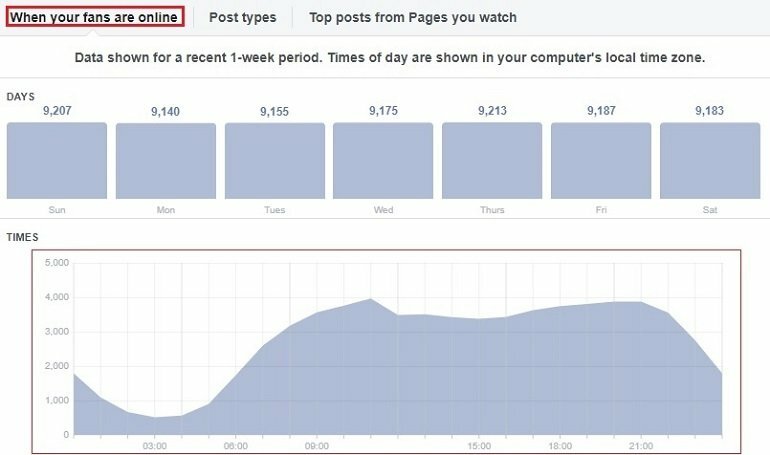 Many bloggers have done the experiment and suggest between 1 PM and 4 PM but take the help of Facebook insights to find the best time when your fans are active. One school of thought is to post when most users are online and other schools of thought are to post when not many people are online because when more people are online, it means more content is being shared online and so your content won’t get a better reach. See what works best with your audience and go with the one that works for you. According to Mashable, Thursday and Friday post can get as much as 18% of engagement compared to other days. But this again depends on the type of content you post. For example, Entertainment posts grab more eyeballs on the weekend because people are more relaxed and likely to have some fun. Whereas, Sunday is best to target shoppers with shopping post or ads. If you are a fashion blogger or luxury product seller avoid Monday. Best time for you is Thursday. You can also go with using social media tools in order to schedule your post and gain valuable insights on which of your post is doing good when your fans are active on Facebook, what is your competitor doing, and lot more. Hustling for more likes is not wrong and getting likes on fan page means you are reaching out to more people. But LIKES doesn’t build businesses. Its real people behind the likes that do. A small group of fans who like, comment and share your content with their friends is far better than thousands of like to a page where no one cares about what you share. So care about the people who have connected with you or your business page. Reach them personally and converse with them. Ask their opinion about an article. Ask them will they mind sharing with other people? What would they love to see more about from you or your page? Do they have any suggestion to improve? If you aren’t a big brand on Facebook, it is easy to connect with them on a personal one on one level but once you reach to a point of those 1,000 followers, it can be tough but then at that point, it won’t need your personal interaction either. Increase post engagement by thoughtfully responding to them when they ask you a question in comments. Create your facebook post that indulges fan involvement. Ask them questions. Give them choices to respond – A or B. Make their views and vote count. If your marketing strategy is based on only getting likes then you need to think about it again. You must be focusing on engagement on your post drives and relevant traffic on the website out of it instead of page likes. There are examples of business, brands and marketing teams who have done it and may still be doing it. Creating a controversial post may bring in loads of engagement but it can be short-lived as well. Controversy done skillfully and artfully (though I personally don’t advocate it) may help you outrun your competitors and reward you some serious attention in a short time. Instead of creating controversial posts one can also go for viral content. When you post on Facebook, the system shows a boost button tempting to boost the post and reach out to more people. That is their (Facebook) bread and butter. 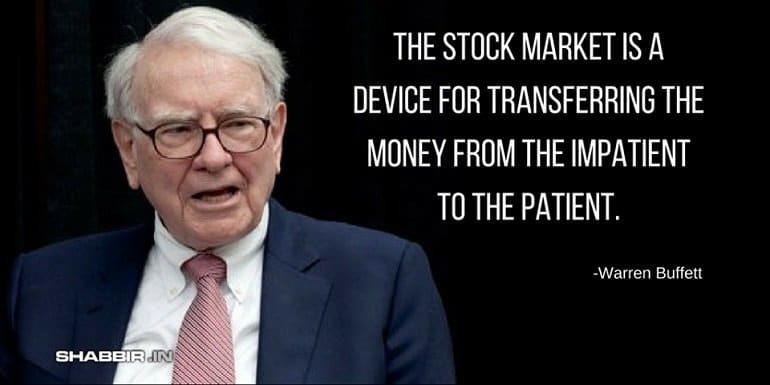 That is how the system is designed to work. You must learn to resist the urge of hitting the boost button for every post. Let me share my experience of taking imtips Facebook Page from zero to 11K likes. I do not boost any of my post on the first instance. I let my posts gather some organic reach by sharing it in different groups, in my personal timeline, outreach important brands, professionals, experts and bloggers using DM. Ask them to share my post on their page if they liked it. Also, I do ask them to suggest changes in the post if any. People like to give suggestions and advice. So, make them do the same. Meanwhile, I monitor the performance of my post using Facebook Insights. I take a close look on which post s performing and which isn’t. If I feel like making necessary changes to the post – I do too. After all, these hustle comes the boost. Facebook insight gives you the best idea about what kind of content on your page is working for you. Don’t hit the boost button for every post you make on Facebook. It’s simple to do but being responsible for it will save a lot of money wasted behind untargeted ads. Select the post that has reached out maximum people organically to boost. Again when a post is working, there is no point to let it reach organically only. One should be ready to drive in more traffic from posts that is resonating well with the audience. Instead of boosting to the general audience, it is always advisable to boost the post to your fans and followers in the first place. Making sales and generating revenue is the bread and butter of a company but it should be done in a way that doesn’t offend the followers. If you want to generate sales you need to build a trust factor with people. Provide value consistently and then approach for sales. Build trust and business will follow. Annoying users with promotions will convert likes will become dislikes. People use Facebook to entertain themselves, get information, educate and share knowledge with their connections. I don’t advocate “No Promotion” but in order to keep the interest of your audience intact, you will have to come up with ways to give them a reason to stay connected with your page and even purchase from you. Follow the Pareto principle of 80-20 rules where promotion shouldn’t be for more than 20% of the time. Rest 80% of the time try creating an engaging post for the audience. 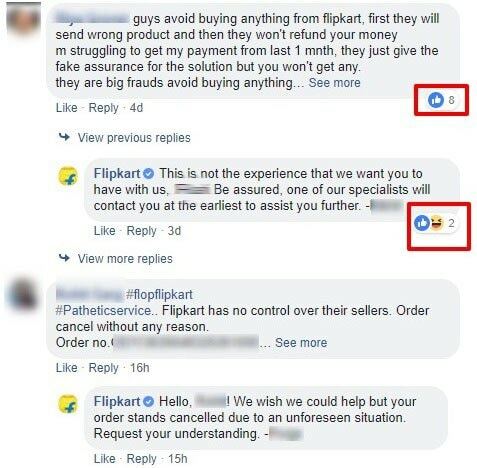 Let’s take the example of a big brand like Flipkart. The page has 9.1 million likes has used a top celebrity for its promotion but see the post engagement and interactions. On top of that, the comments aren’t related to the offer either (as we will see in the screenshot below). Celebrity factor + offer + big brand isn’t working because as I see on their timeline, all promotions and nothing else. Facebook and social media is a way to connect with your audience. If you aren’t able to iron out the pain points for your existing customers, soon it can backfire. 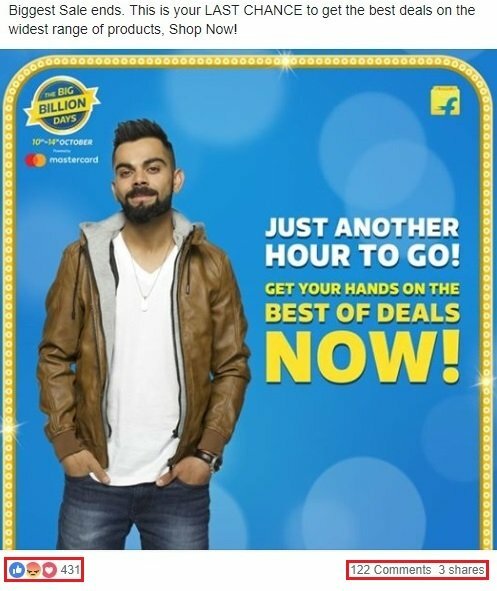 Here is the screenshot of comments one sees on the Flipkart’s ad of where Virat Kohli. Users are sharing their bad experience but what I am concerned is, the reply from the official account isn’t comforting enough either. Use Facebook to listen to your customers because if you don’t someone else will. The common mistake among marketers is to market the content once. What I mean is, if you have a content that works with your audience, it can always get a new way of presenting the same content to the audience so it can work even more for you. 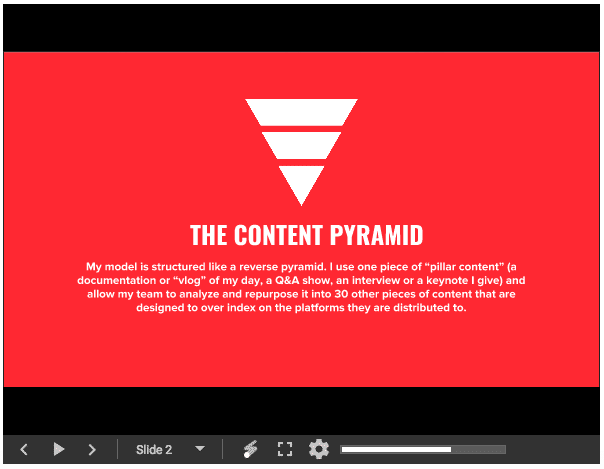 Here is a great presentation by Gary Vaynerchuk Content Pyramid Model. His team is able to create 30 different content out of one big piece of content to be able to post content and promote the main content multiple times. Create multiple posts out of a single one. If you are an e-commerce seller of a product, plan to get more exposure for the same product or service by creating micro contents for it. Look, I personally do this for my blogs. I published an article “19 Traffic Analysis Tools to Analyze Your Web Traffic like a Pro“. What I did is I created 19 different facebook post from one single article to drive traffic to my blog and engagement on Facebook. Hashtags are important for you to be part of the search but too many hashtags dilute its importance. According to PostPlanner, hashtags shall have 20% ratio in your post. On Facebook, limit them to one or two in a single post. Mis-use – Each one of them is a complete misfit here. Relook at hashtags – It looks like when someone searches for terms like the can, you, solve, this – the post should show up. That’s not going to happen but it also dilutes the importance of panifood as a tag which is their brand. What should you be doing? – I would definitely write a bit more about what I want my fans to be doing with this post. 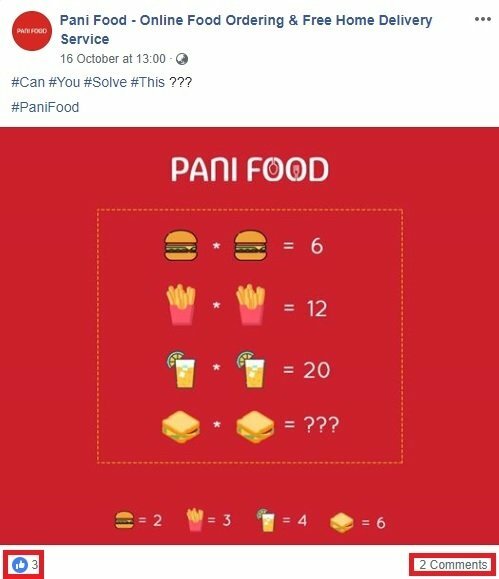 Probably a call-to-action like Solve this and write your answer in the comment, tag a math friend who can solve this, challenge a friend to solve this and so on.